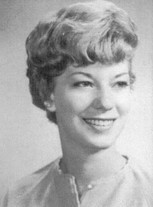 Jean Barnett, Married in 1974. Brian, born 1975 has a wife Angela and a daughter Aly, born in 2006. Steve, born 1977, has More…a wife Leslie, daughter Jenna (5), and son Jeff (18 months). 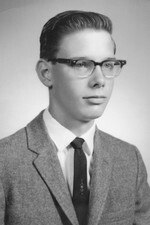 After graduating from Bowling Green in 1968, I worked for a few months as a claim adjuster in Cleveland Heights. 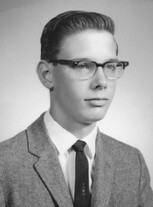 At the end of '68, I started working in credit insurance in Chicago. Credit life and credit disability pays off your car loan if you die or make your monthly payments if you become disabled. I have been in administrator and underwriting type positions ever since then to this day with four different companies in Chicago, Grand Rapids, MI; Battle Creek, MI; Orlando, FL; and here in Jacksonville, FL. The company in Orlando relocated to Philadelphia in 1997 and I declined their invitation. So, I was unemployed for three years until I got my current job in Jacksonville in 2000. The kids stayed in Orlando and we visit them and the grandkids there every 4 to 6 weeks. Jean and I met at work in Chicago and got married in 1974. The kids made their debuts in the 70's: Brian in '75; Steve in '77; and Lisa in '79. My twin brother Greg died in October, 2008. See his page for a brief history of his life. Pictures of him are on my page. I have a sister, Linda (Class of 1962), who lives in Chicago. I was a heavy smoker from the college years until 12/21/08. I abruptly stopped when I coughed so hard that I collapsed my own lung. I was not supposed to survive the surgery, but I did (obviously!). Although it has been a difficult year of recovery and healing, it is miraculous that I have gone from three oxygen tanks a day to three days for one tank. I just need oxygen when I walk a hundred feet or so. Too soon to tell if I will get rid of the tanks completely. Regardless, I feel great and am a very lucky guy. 12/10/10 UPDATE: After almost a year with nothing happening, my lung resumed healing over the last few months. So now, I no longer need oxygen; the oxygen company picked up the tanks and equipment yesterday. Those who knew how horrible my situation was 22 months ago also know that this extent of recovery is AMAZING ! ! ! 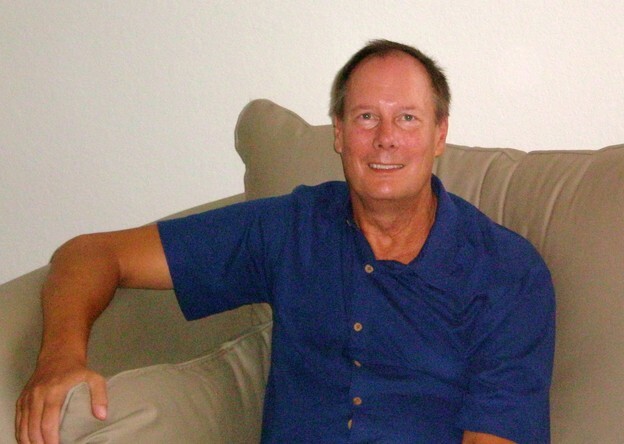 Retired from Allstate in Jax 3/25/2010. FYI: The only classmate I have been in touch with all these years is John Fraier. 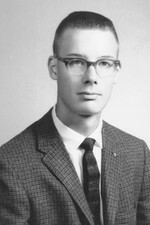 Bowling Green State University: Graduated in 1968, Business. JEFF BARNETT has left an In Memory comment for STEPHAN MORSE. The correct spelling of his name is Stephan. My brother Greg was a close friend of Stephan's during high school, and I hung out with them from time-to-time. Stephan was extremely smart and very funny. Lost track of him after RRHS, as I did most people. JEFF BARNETT has a birthday today. JEFF BARNETT posted a message. Happy Birthday, Jim! I am already 71, and it is a good age to be! Enjoy it! JEFF BARNETT has a birthday today. New comment added. JERI SIEDEL AUDIANO posted a message on JEFF BARNETT's Profile. JEFF BARNETT has left an In Memory comment for Greg Barnett. JEFF BARNETT changed "Now" picture. New comment added. Our three grandkids: Jenna (9), Aly (8), and Jeff (6). JEFF BARNETT posted a message. New comment added. The whole family on a cruise, in April, 2013. JEFF BARNETT posted a message on REID DOUGLAS' Profile. New comment added. Reid: Attached is a class photo from Wooster 3rd grade. JEFF BARNETT added a comment on Profile.